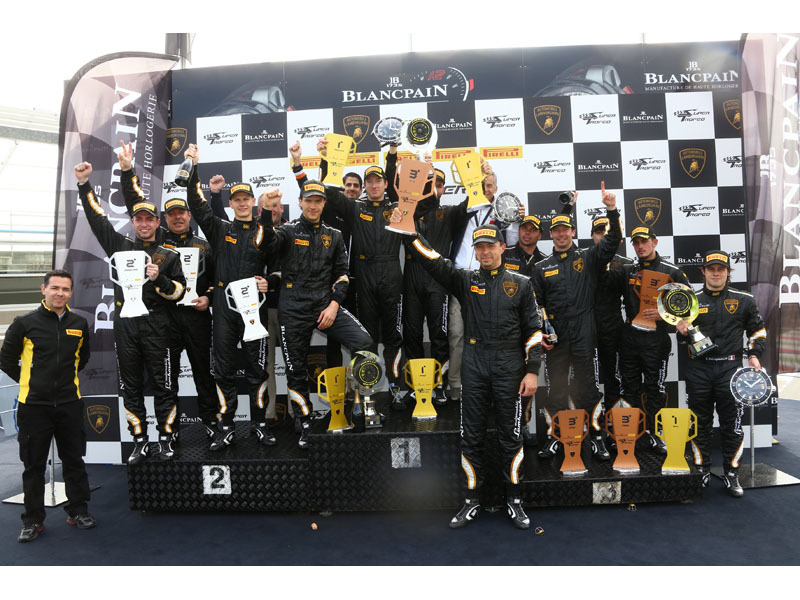 Milos Pavlovic and Edoardo Piscopo won the second race of the Lamborghini Blancpain Super Trofeo in Monza.The duo racing under the Bonaldi Motorsport team's banner, ruled race two having already achieved second place on the podium in race one. The 23-years old Jeroen Mul (Automobili Lamborghini Racing Team Germany)also showed some impressive driving skills recovering from P10 to P2 to concludea head of the 2013 PRO-AM vice-champion Cédric Leimer and Jonathan Cochet (Autovitesse Garage R. Affolter). Available content includes an edited package, as well as stills.